We dug through hundreds of paid iPhone and iPad apps that are on sale for free today, and we managed to come up with a list of the 10 best options of the day. There’s something for everyone on this list, but you risk missing it all if you don’t hurry. Remember, these sales could end at any moment! Clarity is a wallpaper editor. Clarity keeps your lock screen time/date legible and home screen icons lucid. With Clarity, any photos can be a perfect wallpaper. Automatically mask your lock screen wallpaper with transparent gradient based on the color in this image. Add frosted glass effects to your home screen wallpapers based on your own tastes. 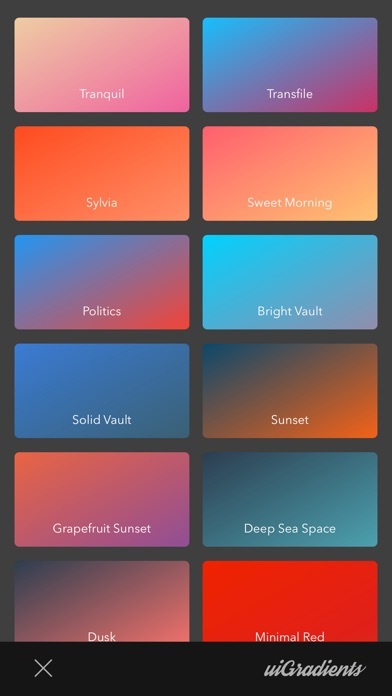 Get beautiful colored gradients from 200+ gradients, or create gradient wallpapers with any color you like. $1.99 Water Sound Pack in-app purchase is currently free. We developed Midnight Owl because we had so many people close to us who struggled with insomnia and poor sleep quality. Some couldn’t fall asleep, others couldn’t stay asleep and nobody was starting the day feeling rested. They feared becoming dependent on prescription sleep medications and didn’t like waking up feeling sluggish when using them. We knew there had to be a better way to help our friends and family get out of the cycle of bad sleep. Get to Sleep Fast: Midnight Owl soothes your body and mind into a quiet, relaxed state. It helps ease racing thoughts and tension from the day, so that you’ll be able to drift into sleep easily. Stay Asleep All Night: Fall and stay asleep throughout the night, even if you are someone who suffers from “middle-of-the-night insomnia” (MOTN) and often find yourself waking in the wee hours. Wake up Refreshed: Start your day feeling rejuvenated and energetic. Best way to upload your old photos and videos to your social network. While selecting media from gallery, you are just limited to select photos and videos which are taken in the last 24 hours. Using No Limit Stories app , you can simply bypass this limit. 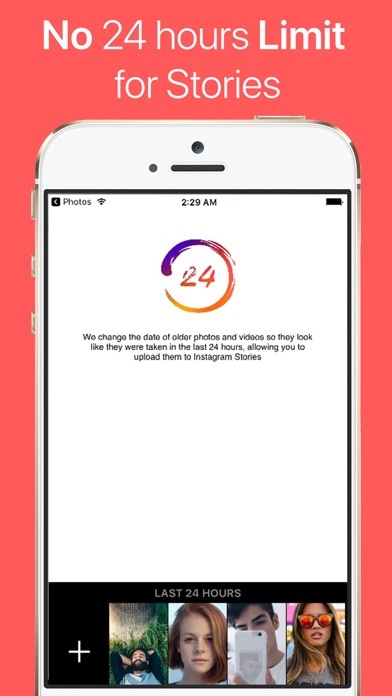 No Limit Stories app changing the metadata of your photos and videos so they look like they were taken in the last 24 hours, removing last 24 on most social networks. 1) Newly published episodes land in the INBOX. Read the descriptions, queue the good ones and archive the rest. 2) The QUEUE is a central playlist where you organize your next few hours of listening. Queued episodes are automatically downloaded. 3) Press Play. Castro plays your queue in order from top to bottom. Reorder or archive queued episodes anytime. * Drag and drop support helps you triage and reorder your queue. * Castro sports an elegant dark mode (requires Castro Plus) and well-thought out sleep timer, offering the best in night time podcast listening. * Our servers constantly scan for new episodes across every podcast, so your phone doesn’t have to, saving battery life and data usage. * Queued episodes are automatically downloaded, so you can focus on deciding what you want to hear and let Castro manage the details. * Beautifully rendered full screen show notes. * Episode notifications include a short summary of the episode to help you decide if it interests you. You can play, queue or archive the episode directly from the notification without opening the app. * Watch app to control playback and select another episode from your queue. .GIF Maker is a beautiful gif maker app that allows you to make your own gifs or videos instantly and share them easily on Instagram and other apps. You can make your own Gifs directly in iMessage, and share them with your friends. .GIF Maker is the social network for GIFs. * Option to share directly on Gifies, obscene content will not be tolerated. Caught these intruders in action! The screenshot shows a recorded scene of our hotel room. Before we left the room, we activated this app. 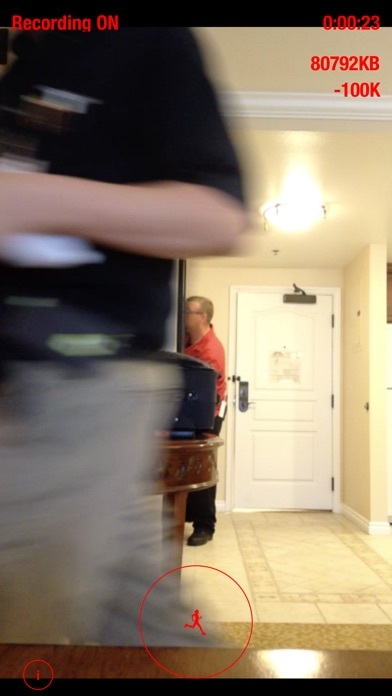 When we returned, the app showed us these guys entering our room, without our permission! This app is better than any $100+ webcams! You can use your old iPhone, iPad or iPod! – Use old iPhone, iPad or iPod! Supports iOS 6 and above! – Records more than 700 hours continuously. No other camera apps do that in App Store. – Records anything, unattended. Set it to record and forget it. It will continuously record until you stop it. – Use it as a security cam for your house, office, hotel room, dorm, etc. – Use it as a dash cam on your car. – Night Recording with Flash enabled. 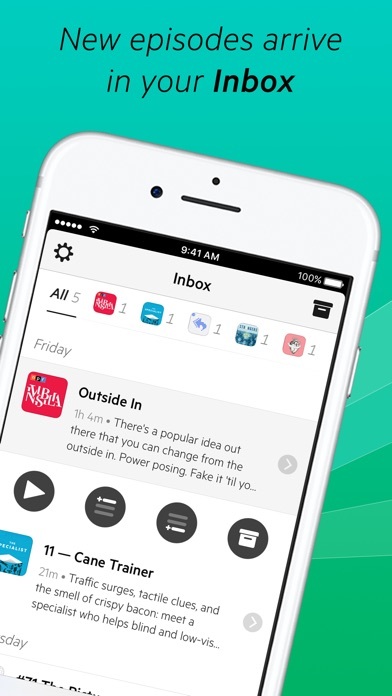 – Watch video files directly from the app. Tap “i” button to access all video recordings. – Do you need to copy a video footage? Copy video files via iTunes File Sharing. 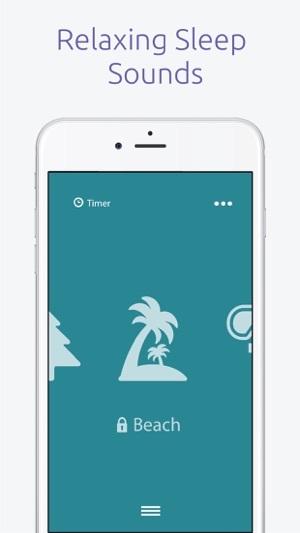 – Start/Stop Recording : tap a big circle button at bottom to start recording. Toggle it again to stop recording. – Copy Video files : Use iTunes File Sharing to copy the recorded video files. Under File Sharing in iTunes, tap the app and select all video files and drag-and-drop them to your desktop on a PC or a Mac. 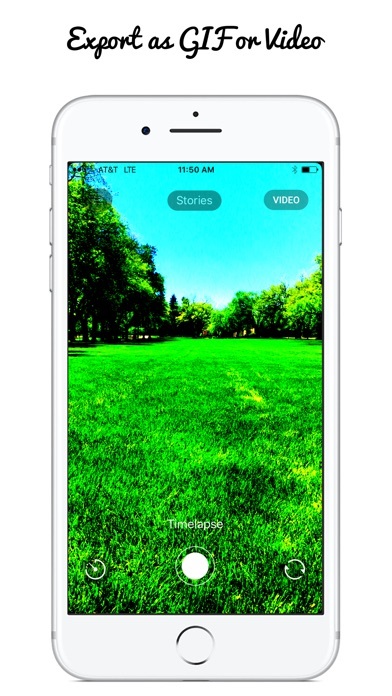 – Focusing Camera : tap anywhere on the screen to re-focus the camera. This auto-balances the camera focus, the contrast and white-balancing. – Night recording: turn the flash on to enable the night recording. – Saving battery: save battery by turning the screen off by doing a swiping-right gesture on the screen. This is recommended, when the app is in security recording for long hours, whether the device is power plugged, or the device is running on a battery. – Changing the portrait or landscape orientation: You can video-record in portrait or landscape mode. Whenever you change the video orientation, Stop recording and re-Start recording. This resets the video orientation during play. – Recording for a long duration: This app has been field-tested long hours without a stop. In the production tests, the users have used the app to security-record their homes, office, dorm rooms and hotel rooms for a few days, a few weeks and even few months. – Airplane Mode ON: When running the app, disable all radios by turning Airplane Mode ON. This helps to save the battery and allows the app to run without any interruptions. – This app detects if someone disables the security recording by stopping the recording or if someone quits the app by pressing home button. This is saved in a log file with a timestamp. – Charging the battery for long hours: You may plug in a power adapter to continuously power the device. However, we recommend a Christmas Tree power timer to periodically turn off the power to the device to keep battery healthy by charging it with every hour break at every two hours of charging. – We are working on the next version of the app to last even longer duration with auto motion notification and easier video scanning/scrubbing. Please feel free to contact us with suggestions or feedback. Thank you for your support. – Actual hours of recording is determined by the available space of the device. – Works with all iPhones, iPods and iPads. – Whenever the app detects a motion in front of the camera, the motion sensed event is recorded in a log file. This log file has time-stamp entries. If a motion is detected, it is recorded in its video file and the log file. You may copy the log file via iTunes File Sharing from the app. A motion event is tagged with “subjectAreaDidChanged” Find a motion events in the log file and find a video file containing the motion event timestamp. And, scan the video file for those motion events to observe the motion triggered events. ■□ Did you know that YOU CAN SPEAK 33 LANGUAGES ??? ■□ With Translate Voice BE SURE YOU CAN !!! ■□ JUST TALK AND LISTEN THE TRANSLATIONS !! !! Perfect if you want to !! – learn a new language. – travel to a foreign country. – chat with people who don’t speak your language. Instantly speak another language, voice to voice. Can you imagine talking into your phone in one language and immediately hearing yourself in another language? That’s exactly what Voice Translator does. Just speak into your phone and it immediately speaks back to you in one of our 33 languages. ■□ SMART VOICE INPUT TECHNOLOGY! 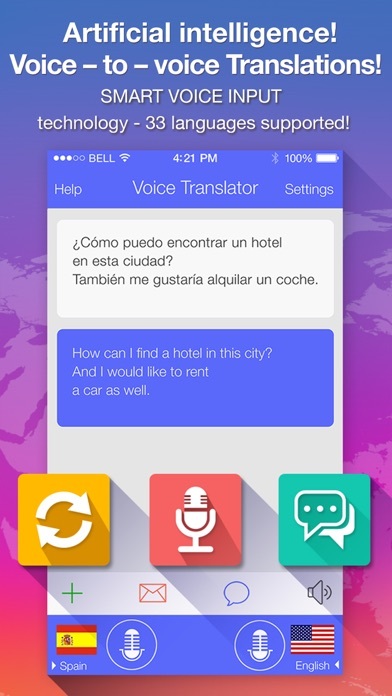 – Instantly start a voice to voice conversation into one of our 33 languages and dialects. ■□ NATURAL SOUNDING VOICE OUTPUT! – If you’re old school you can always bring up the keyboard and hear the translations. 33languages and dialects are supported. – Simply click on a send button to mail or SMS the translation. – you can always use your keyboard to edit translations. Now 72 languages available for translation! Voice recognition for 33 languages! Very useful for my students. The application gives some best common English practices, it includes 3 features: Today’s highlight, Vocabulary and Quizz. 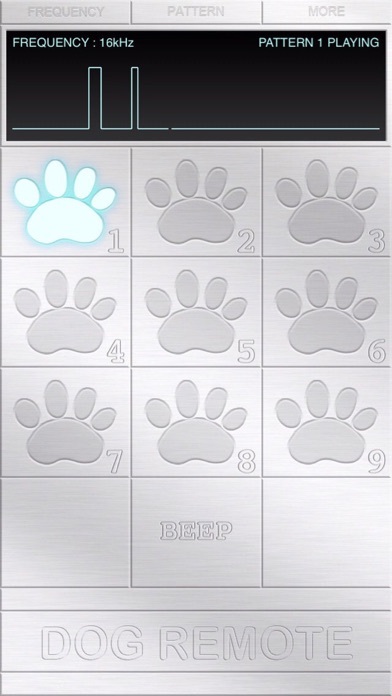 Train your dog with this Dog Whistle app. You can easy to remote your dog to do any action. You can’t hear the dog whistle sound, how do you know when it sound? This app can display sound waveform , you can see the sound pattern! 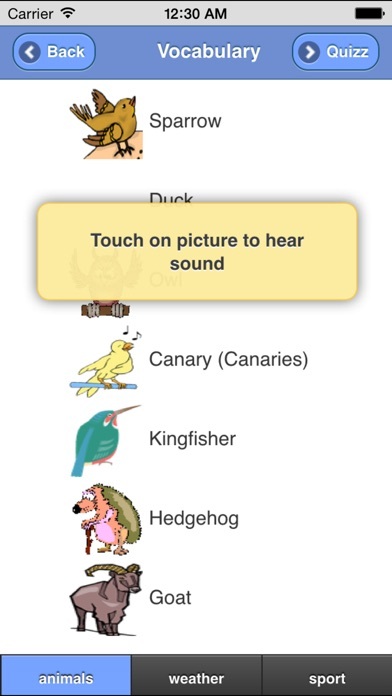 We let you to record their own sound pattern. Some dogs like longer sound or shorter sound, there is no any preset pattern can suitable for all dogs. So we let you to record your own sound pattern. 1. Find the most sensitive frequency of you dog. 2. Record your own sound pattern. 3. Your sound pattern’s sound is too short. The dog can’t hear it. 4. Make sure you disconnect to your bluetooth headset. Otherwises all sound will go to the headset not the speaker. PhotoTangler Collage Maker is a powerful image app that instantly turns your favorite photos into beautiful collages. It allows you to blend them together in unique and creative ways. It’s easy, fun, and the results look like magic! 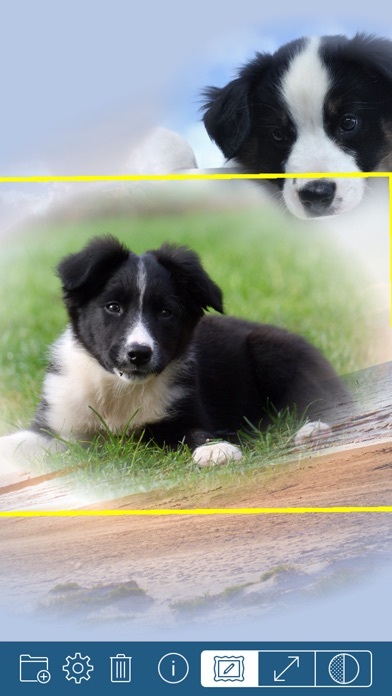 Just drop photos on the canvas, and watch PhotoTangler seamlessly blend them together with any other photos nearby. Anyone can get gorgeous, professional looking results, even with no graphics experience!